signed lower left corner of painting "C.S. 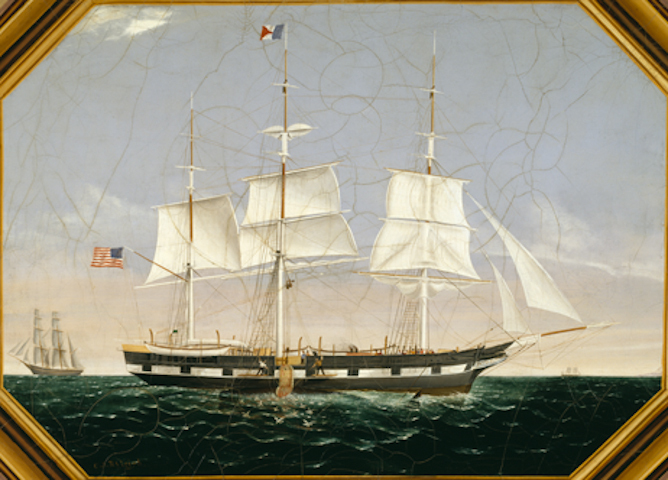 Raleigh"
This is a painting showing the whaling ship ELIZA ADAMS cutting in a whale. The ELIZA ADAMS flies the American flag. Sailors pull a harpooned whale carcass aboard as seagulls hover above. There is another ship in the left background.